A unique, individualized "Sweet Day" picking flowers and herbs. Listening to Annabella sing plants' songs and experiencing a Sacred Footbath. Annabella cooks and serves a vegetarian lunch followed by a Shamanic Journey. There is time for tea and madeleines and a tete-a-tete to decipher the message from the day's activities. The guest takes home a beautiful bouquet of herbs and flowers, and a medicinal tea blended specifically to address particular needs. 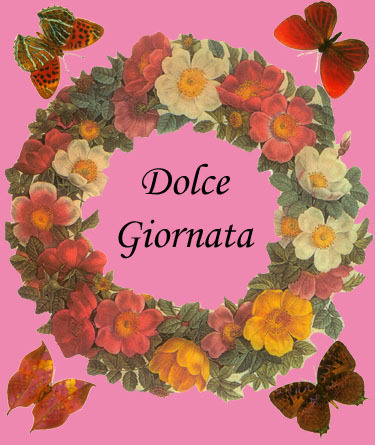 Those who decide to participate in Dolce Giornata will receive a complete program of the day's events. Call Annabella at 510-559-9217 for an appointment and the program.